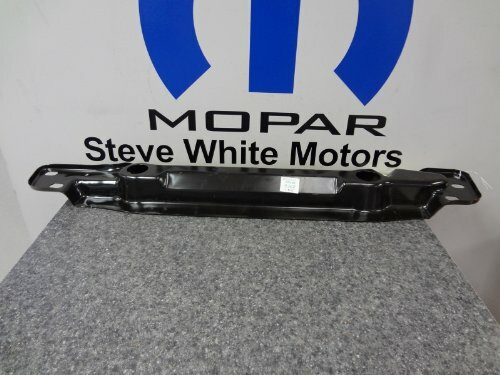 NEW IN PACKAGE GENUINE OEM MOPAR FRONT LOWER RAIDATOR SUPPORT ASSEMBLY PART # 5027984AD FITS 2002 TO 2010 CHRYSLER PT CRUISER NEW GENUINE OEM MOPAR REPLACEMENT LOWER FRONT RADIATOR SUPPORT ASSEMBLY!!!! CAN BE EASILY REMOVED AND REPLACED, SIMPLY BOLTS ON!!!! OEM QUALITY AND FIT!!!!! 12 MONTHS WARRANTY AT ANY CHRYSLER, DODGE & JEEP DEALER ACROSS THE U.S.!!!! IF YOUR UNSURE OF YOUR APPLICATION PLEASE SEND US YOUR VIN NUMBER FOR APPLICATION VERIFICATION!!!! 12 MONTH WARRANTY AT ANY CHRYSLER DEALERSHIP IN THE NATION!! !